This article shows how to convert a Java string to int . To convert a Java String that represents an integer value, to the int type, one can use the utility methods of the Integer class. This article shows how to send an email through Gmail in Java. We use the JavaMail API to send email. 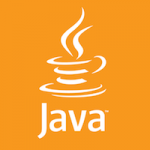 You can download the JavaMail API jar from here and the reference implementation jar from here. Or if you are using maven then just add the following dependencies in your pom.xml file.